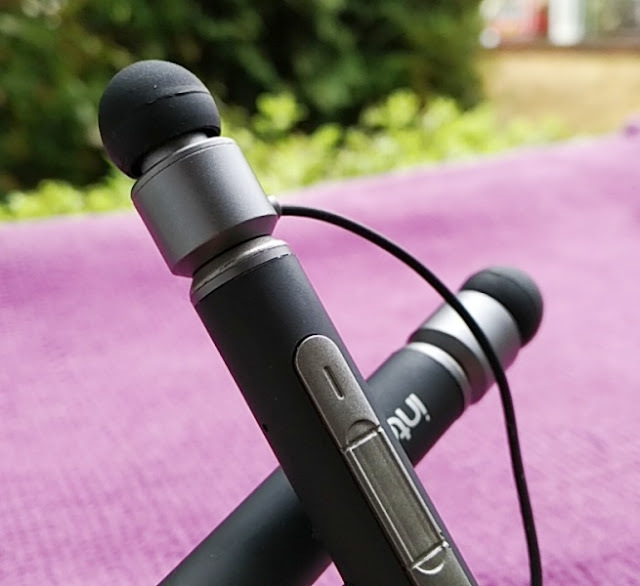 From a pair of small loudspeakers held over the ears by a band worn on the head, to tiny earphones with rubber collars such as the Intempo WDS21, the evolution of the headphone is an interesting one! 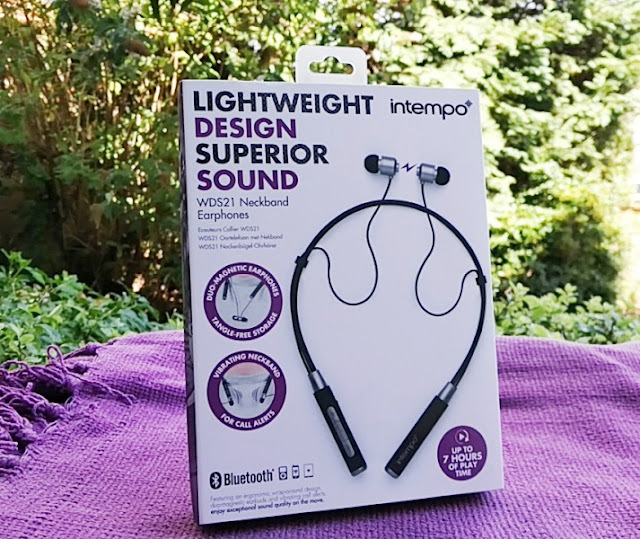 The Intempo WDS21 are neckband style earbuds that are worn behind the neck and stand out from the crowd of headphones by their magnetic ends that let you attach the earphones to both ends of the neckband. 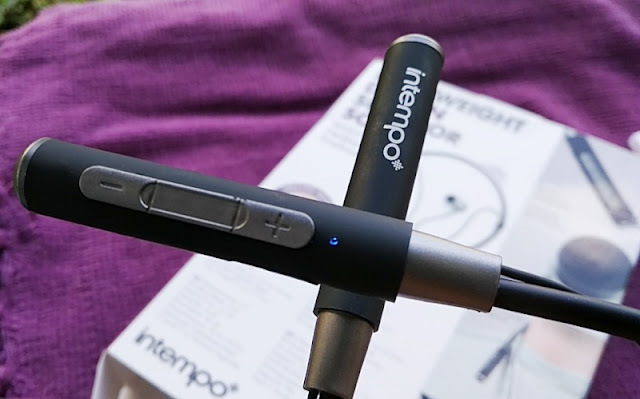 I have yet to come across any other pair of neckband style earphones with this feature so kudos to Intempo for injecting new creativity into the already popular behind the neck earbuds. 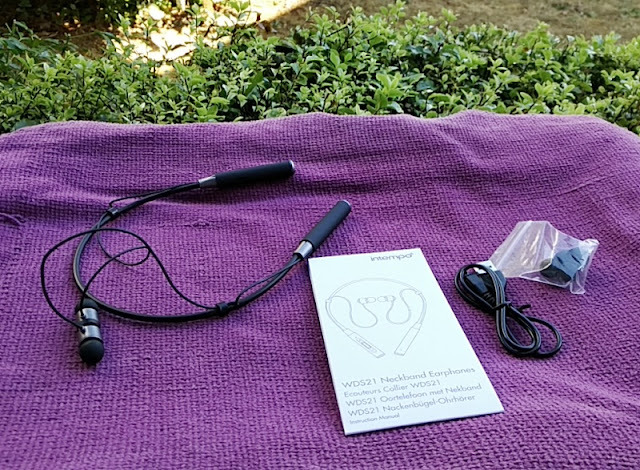 And, it's not just the magnetic ends of the neckband you can attach the earphones to. 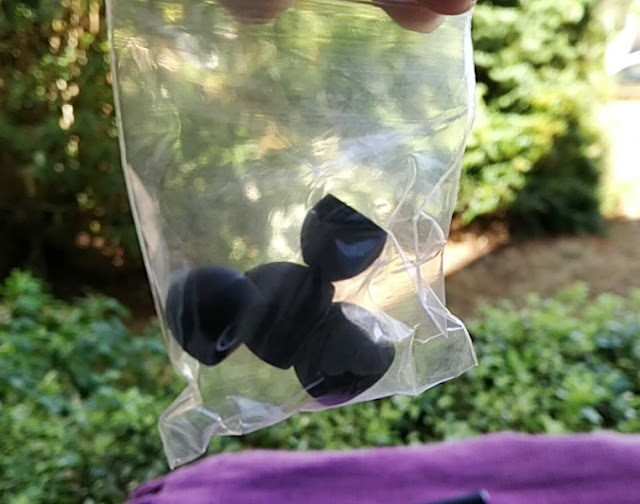 You can also attach both ends of the earphones magnetically together so you have a close loop around your neck preventing the neckband from falling off your neck. 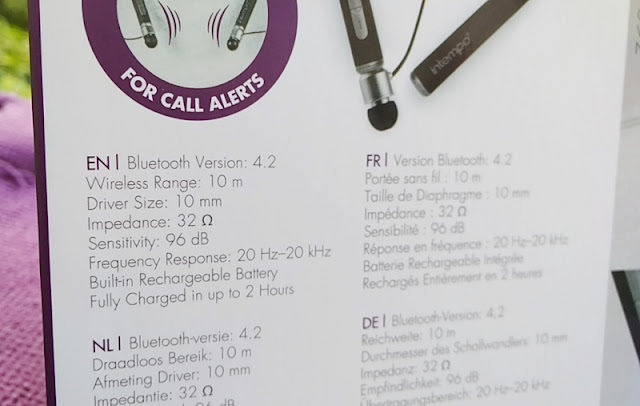 The Intempo WDS21 are wireless earphones which connect to a smartphone or tablet via bluetooth 4.2 connectivity over a range of 10 meters long. 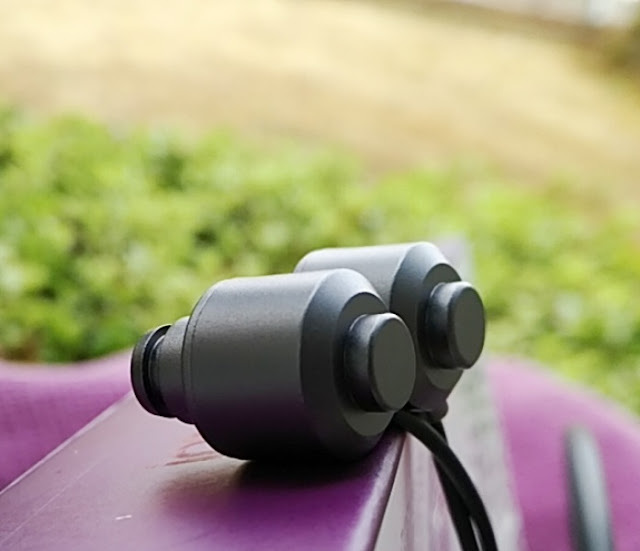 You get 10mm speaker drivers integrated in each earphone housing tuned up to 96dB sensitivity so you get high volume sound output, meaning you can play music louder without cranking up the volume to 100%. 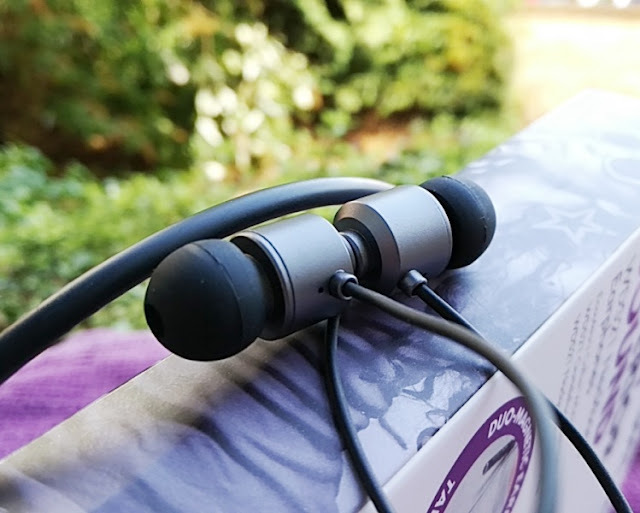 The audio quality is natural sounding thanks to a flat frequency response range between 20Hz and 20kHz which produces clear highs and balanced bass. 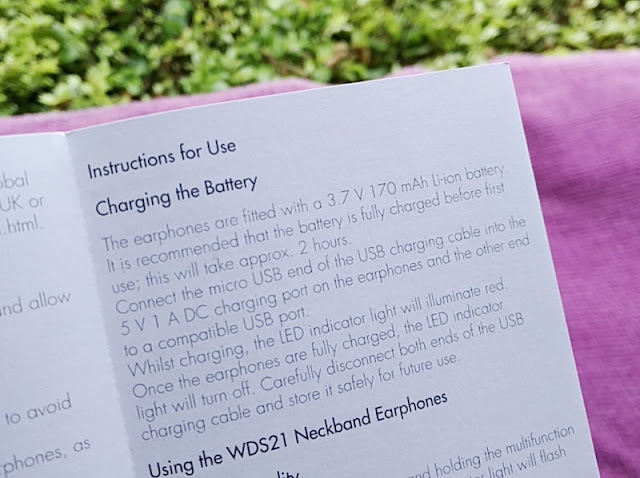 The built-in 3.7V 170mAh Li-Ion battery charges via 5V 1A input taking just 2 hours to fully charge and deliver up to 7 hours of battery life. 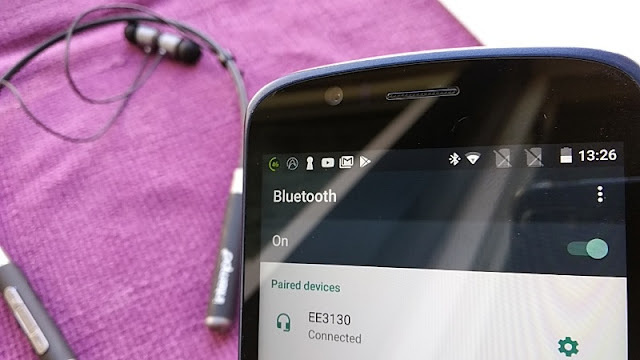 The led activity indicator lights up solid red while charging takes place and turns off automatically when the earphones are fully charged. 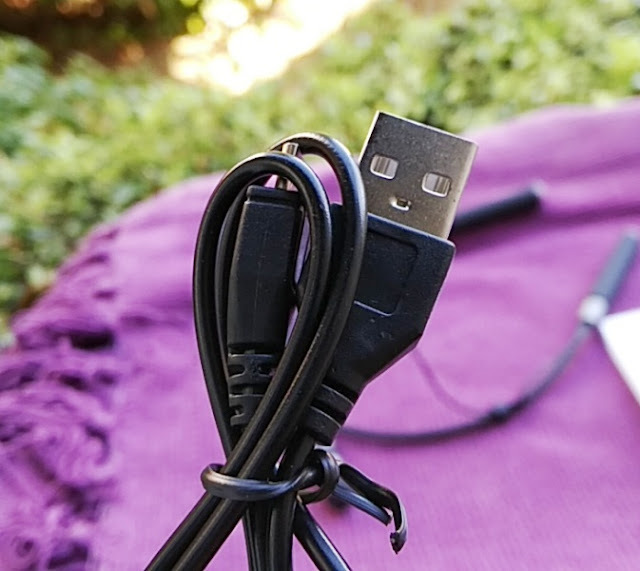 User control buttons are located on one side of the neckband, while the micro USB charging port is located on the other side of the Intempo WDS21 neckband. 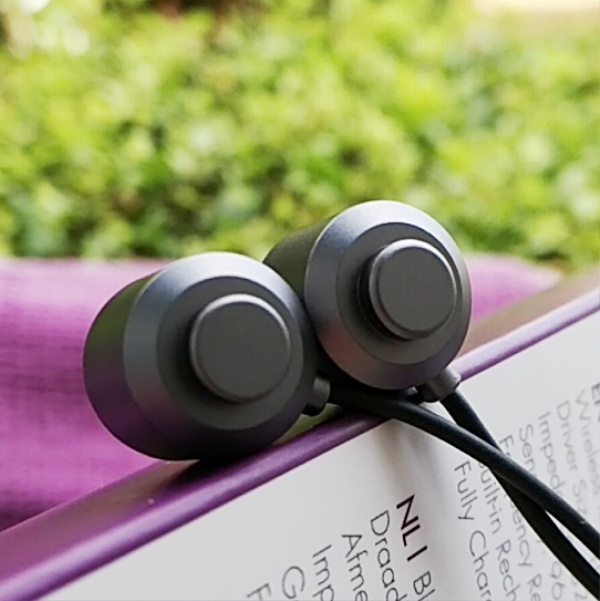 Buttons include two volume buttons and a power button that doubles as the pairing and play/pause button. 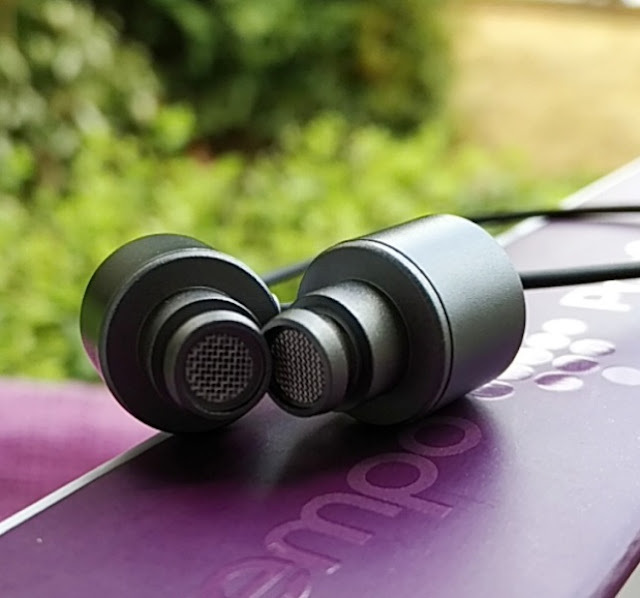 The Intempo WDS21 earphones have a straight nozzle design and they are made with aluminum so they have some weight to them (total weight is 85 grams). 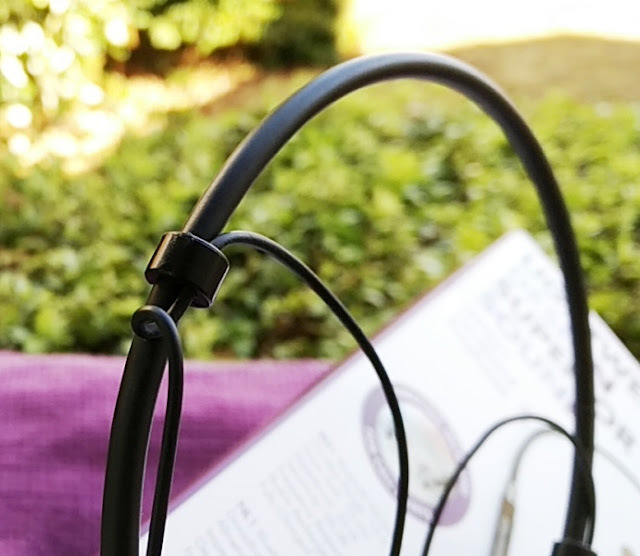 The rubber neckband also features adjustable cable management clips that you can pull up and down to adjust the cabling of the earphones. 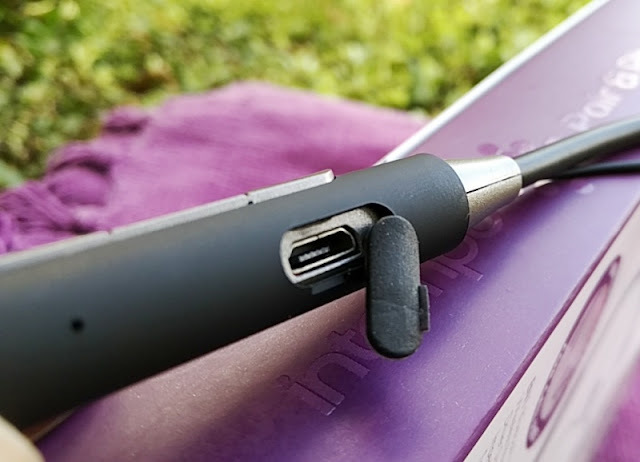 The built-in microphone in the Intempo WDS21 lets you make and receive phone calls on the go, which is nice. 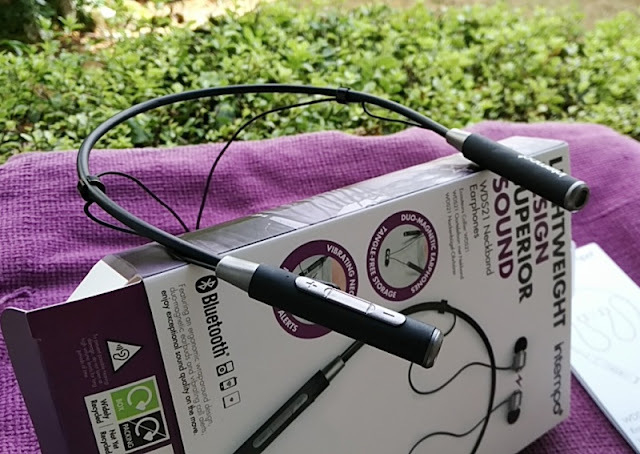 The quality of the microphone is good but there isn't noise cancellation integration so background noise does not get drown out.